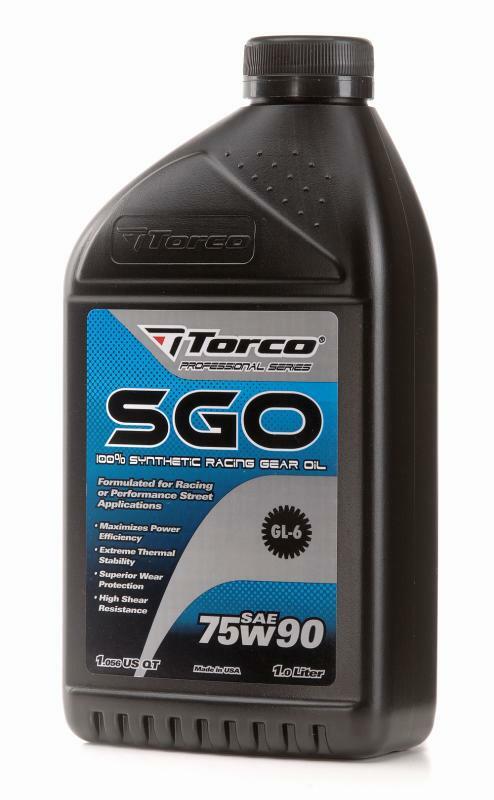 Torco SGO Synthetic Racing Gear Oil UNIVERSAL - Pann Auto Performance - San Diego largest aftermarket automotive performance parts - What do you drive? Torco SGO Synthetic Racing Gear Oil is designed to maximize power efficiency and provide the highest level of gear protection under the most severe speed and load conditions. 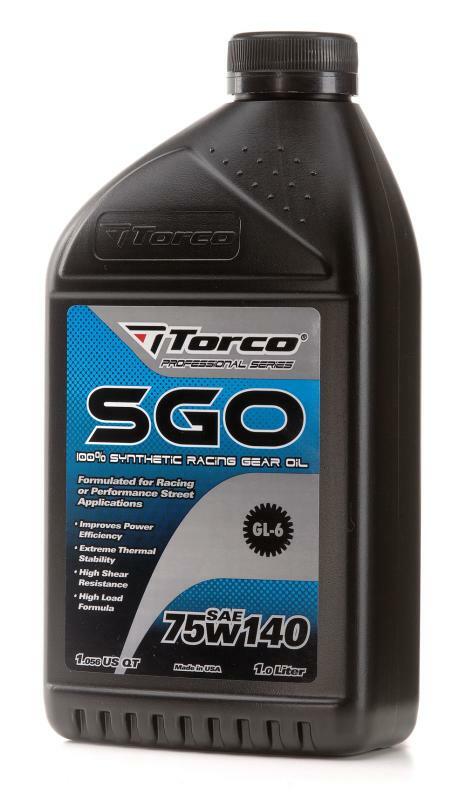 It is formulated using a combination of Group IV/V synthetic base oil chemistries and additive technologies providing high shear resistance and 4-5 times the film strength of conventional oils. This combination of base oils and extreme pressure chemistries offer superior wear protection, improved power throughput, longer component life and prevents rust and oxidation.